I am yet to make dhokla at home. This is on top of my to do list. 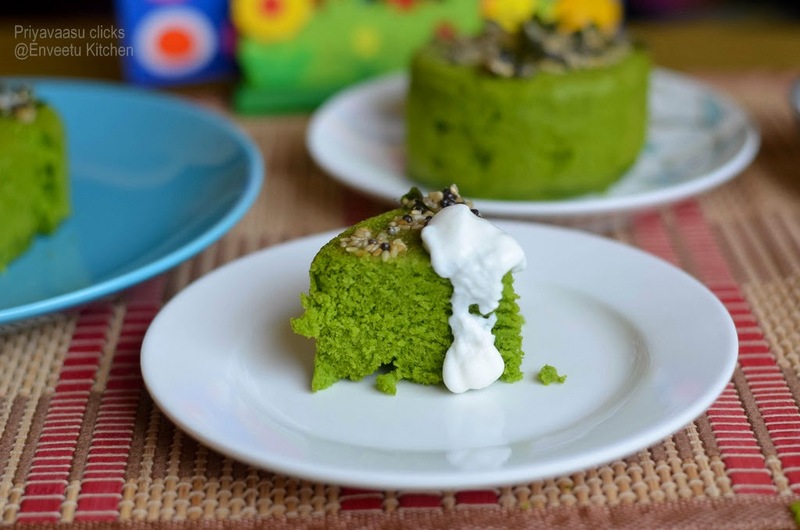 Spinach dhokla looks inviting with the bright green color. wow such an healthy and attractive dhokla looks so yummy !! Very healthy and delicious inviting you to link this to Lets cook with green veg event at simply.food. Healthy, delicious & tempting, Priya! 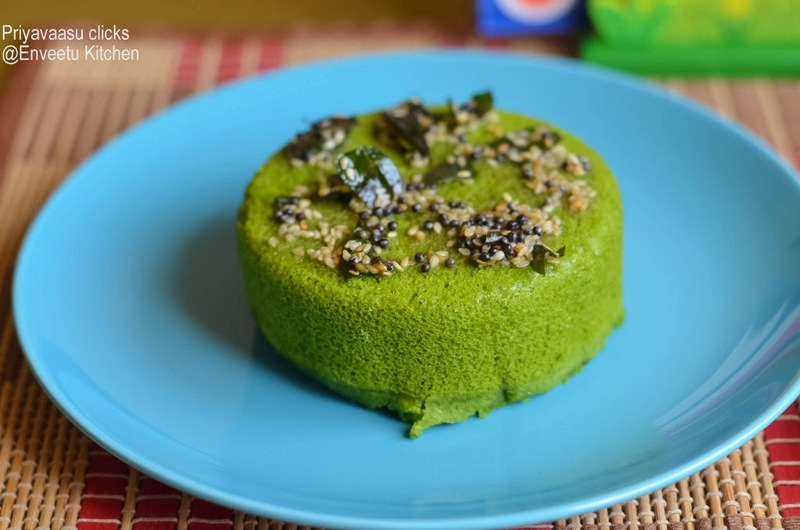 Awesome spinach dhokla..looks so inviting.. 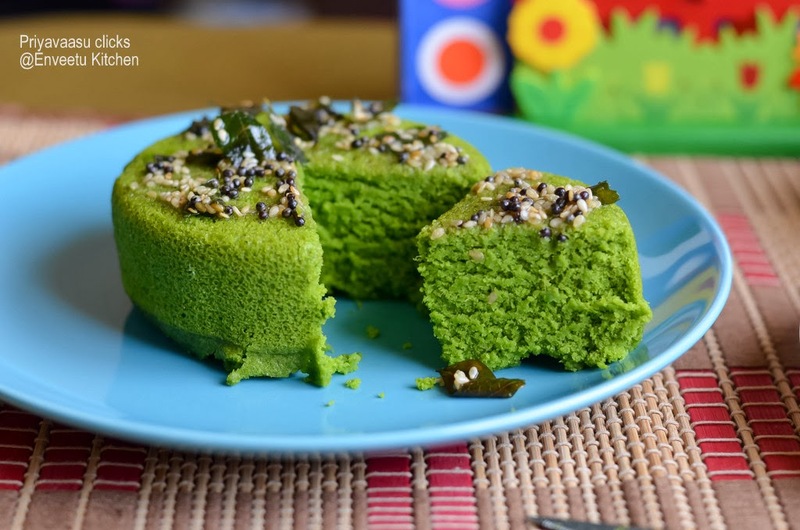 Healthy dhokla and loved the vibrant color of the dhokla,feel like grabbing it.. I have not made dhoklas before and this color is simply beautiful! 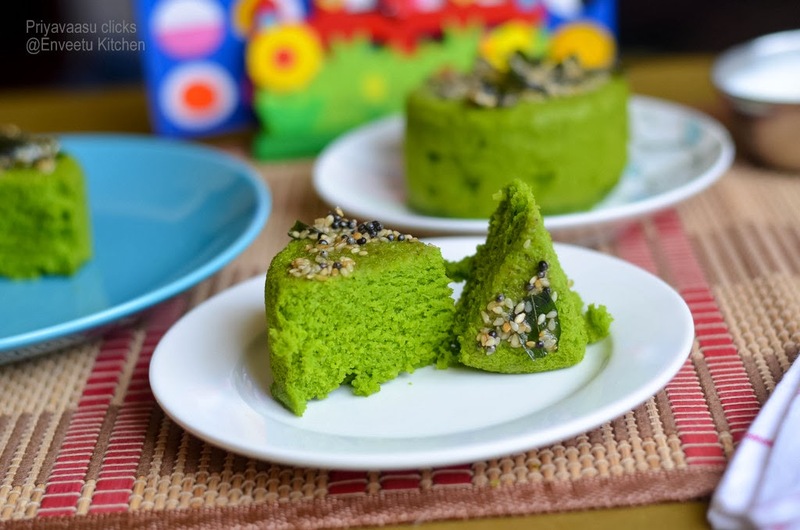 Wow.. spinach dhokla looks so colorful and delicious. fluffy & perfect. Looks fluffy delicious and perfect.